Any mom will tell you that they want an organized and clutter-free home for sure. But let's face it, it has always been a challenge, especially if you have kids under the age of ten and a husband who's into wired gadgets! In our own home, no matter how I clean the rooms and organize the living room, I still always find it in a mess after a few hours, sometimes just a few minutes! That's why I could say really that the struggle is real. But, in between those scattered small pieces of piercing Legos and entrapping wires or cables of hubby's music gadgets, is a mom-wife who thinks fixing and organizing the home is her encrypted homemaker's life mission. Why is that? Diba kasi apart from keeping the house clean, we want our loved ones safe from accidents or injuries which may be caused those kalat. 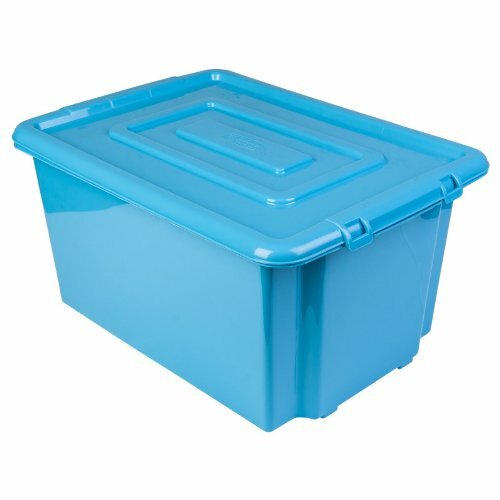 Place a storage bin or boxes in almost every room in the house. When you have kids younger than ten, believe me, you cannot keep their toys in just one place. 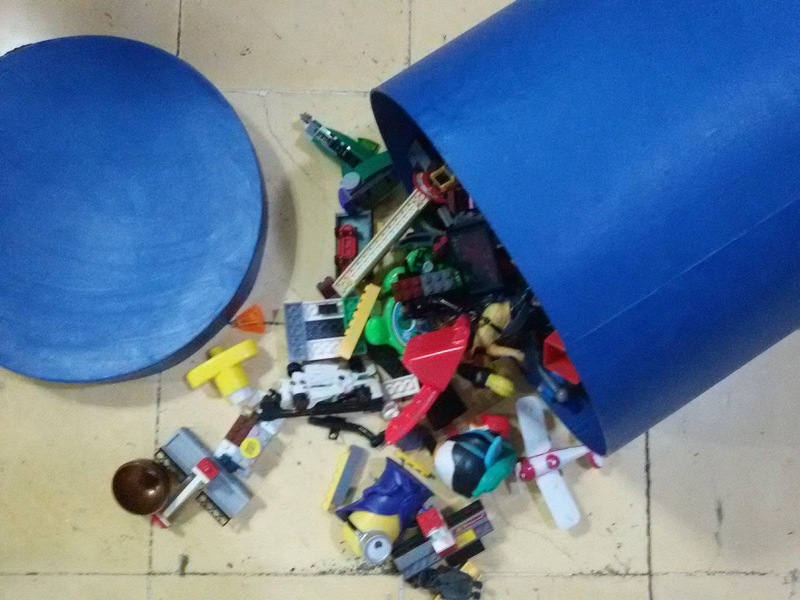 So instead of stressing or tiring yourself picking up the toys in every room to bring them all in the kids' room, better to have storage bins in every room, so that when they're done, they could store their toys in this bins. This also works well with husband's guitar or gadget cables, adapters, and chargers. This minimizes injuries and accidents and promotes a safe environment in the house all the time. Implement the CLAYGO rule (CLean As You GO). Yup, we may be the moms, but our children need to learn how to clean up. Like what schools do during recess or lunch time in their cafeterias, let's implement the CLAYGO rule in the house. Clean as you go. Return things to where you got them after using them. Always close what you opened or turn/switch off what you turned/switched off. Establish a reward system (effective for younger kids) every time they clean up by themselves. A chocolate treat or a small toy always encourages young kids to do a cleaning chore to get that reward. Currently, with my 5 year old boy, we do the Good Boy star system. I give him one star for every good deed he does for the day. When he reaches a certain number of stars (we started with 10 stars) we buy a simple toy as his reward. Give weekend cleaning tasks to kids and an organizational habit will be formed. Since the point system doesn't work anymore with my tweener, and he knows that, we give him cleaning daily and weekly cleaning and organizing tasks. He's taught to make his bed every morning before he leaves the house. He washes the dishes every weekend. We'll be teaching him new house chores in the coming days. I always tell him, his future wife will thank me for teaching him these chores. Be consistent. There should be a set schedule in organizing and cleaning your home. Post a calendar or schedule on the ref to remind everyone the schedule of cleaning and maintenance. One important example is in keeping your water safe and pure. 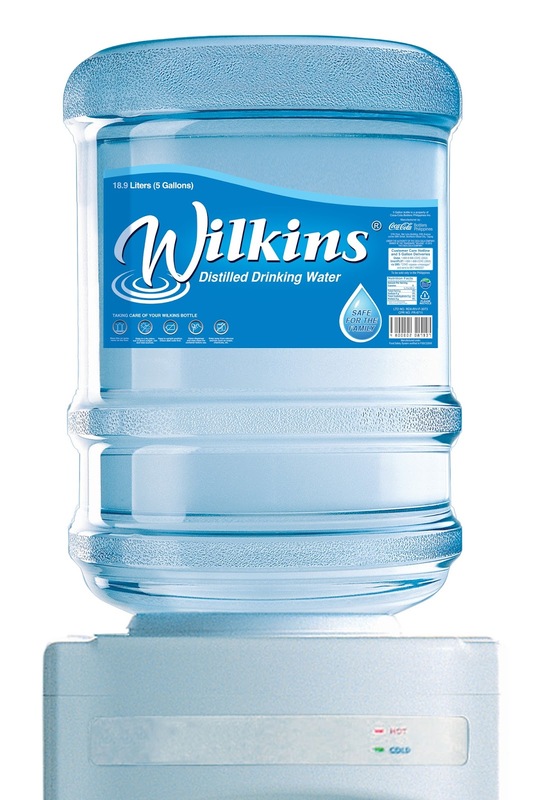 We do this first by choosing a trusted brand, like Wilkins, then maintaining our water by following the 12-step Wilkins Dispenser Care maintenance procedure every 3 months. For reference on the 12-step maintenance, check the Wilkin's Distilled Drinking Water Facebook Page. Learn the art of letting go. The safety, cleanliness, and comfort of the family should be more important than any material things. It should be prioritized when decluttering and organizing the house is concerned. We should also teach this value to our children. Hence, my tip is to learn to let go of things in the house we no longer use, no longer need, and no longer bring joy to our lives. Before we purchase or add appliances, toys, and other things in the house, let's examine the house and see what we could give away to others or donate to charity. It will not only do you good, but will be beneficial to the recipients. This keeps the house clutter-free and safer to live and breathe in. So there goes some of my house organizational tips to keep our homes clean and safe for our family. If still the house appears messy, don't be too hard on yourself mommy. That's normal! The important thing is, we keep and commit to a cleaning and organizing schedule in our objective to have a livable and safe place to dwell in. For more safety hacks and tips, visit Wilkins Distilled Drinking Water Facebook Page or follow the hashtag #WilkinsCircleOfTrust.